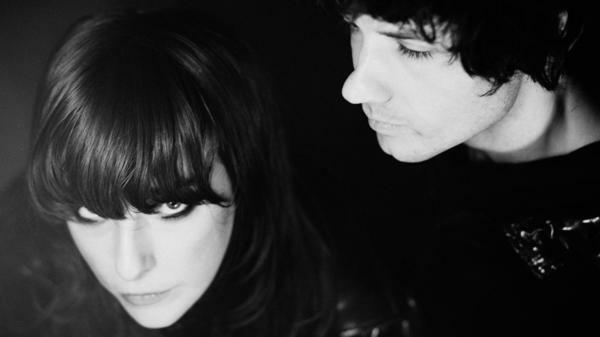 Beach House long ago mastered its sonic domain, one in which our worldly wonders — the minute ("Apple Orchard," "Wildflower") and the grandiose ("Space Song," "Elegy To The Void") — brush up against one another, wrapped in the lovely, golden yarn spun by Victoria Legrand and Alex Scally. On "Dive," the band's second single released in as many months, released in conjunction with the reveal of its seventh album — the aptly-titled 7 — the threat of complacency seems to loom in the distance; rudderlessness can take over after six albums and a decade of Platonic dream-pop bliss. Through its first two-and-a-half minutes, "Dive" is Beach House by-the-numbers: a shrill organ base, a humdrum thump, a wandering guitar loop all arranged in a steady, beautiful stasis. They could easily keep — and, you could argue, have kept — coasting on this lovely framework for eons, without much uproar. But it's at 2:21 where the conception of Beach House — golden and celestial — gets torn up and rearranged into another, messier composition. It's a glorious evolution. "Throughout the process of recording 7, our goal was rebirth and rejuvenation," the band writes in a release. "We wanted to rethink old methods and shed some self-imposed limitations." The drums, steady and metronomic and definitively Beach House, shift into propulsion — threatening to overtake the song. The guitar, basking in its own decay, locks into an imposing, nearly menacing riff. Where they once perfected the liminal, Beach House has gone for broke. Is Beach House, dare we say it, jamming out? Legrand doesn't get lost in the new surroundings. Instead, she basks in the freefall. "Empires lost in confusion / Golden hearts left of illusion," she sings in her familiarly husky tone, still as steady as ever. "Thematically, this record often deals with the beauty that arises in dealing with darkness; the empathy and love that grows from collective trauma; the place one reaches when they accept rather than deny," the band continues. After luxuriating in its own orbit for its whole existence, Beach House is finally attuned to the world in the space between its majesties, large and small. 7 comes out May 11 via Sub Pop.